FORTUNE — We’ve all fallen victim to or been perpetrator of the classic dating power play – waiting just a few days longer before calling. But this tactic can teach companies a thing or two on how they should be dealing with their customers, especially in light of Verizon (VZ) and Bank of America’s (bac) relatively recent fee fiascos. The “principle of least interest,” developed by sociologist Willard Willer from his studies of dating relationships among college undergraduates in the early 20th century, explains that how we feel about a relationship with another person depends on our perceptions of fairness or level of investment in that relationship. The party who holds the most power in that relationship is the one who is (or appears) least invested or interested. The power of “least interest” stems from an ability to exploit that difference in interest during various interactions, ranging from negotiations over the purchase of something desirable, to convincing your boss to give you a raise, to landing a date for Saturday night. In a study I did on high-need-for-achievement personalities, my team and I observed over and over how these driven individuals sabotage their own relationships at work in their reaction to perceived asymmetries with others. Feelings of inequity in relationships cause us to act out in ways that only exacerbate the problem, and can create destructive cycles that are hard to break. The downward spiral looks something like this: A person perceives that his subordinate, partner, spouse, boss, or some other party has less interest in a relationship. He may begin to act out in reaction to the imbalance — pouting or getting unnecessarily angry over small incidents, becoming more critical of others at work and at home — as his emotional fuse grows increasingly short. He may fight fire with fire, distancing himself in those relationships in an attempt to regain power and control through expressing less interest. These tactics trigger a similar reaction from the other person, resulting in a self-reinforcing loop of distrust and misunderstanding. Rather than having a difficult but necessary conversation to identify and resolve the issues at hand, these individuals fear that nothing can be done to get them back in favor and simply continue the cycle in the vain hope that things will somehow balance out. Instead of first reflecting on his own anxieties and insecurities, the individual lashes out at others, placing the blame for the foundering relationship on them. The power of least interest can cause people to cloak themselves in indifference rather than take the effort and the risks needed to build relationships based on trust. Escaping these zero-sum power games requires a willingness to be vulnerable and honest with yourself and others, to recognize and manage power imbalances while not allowing them to consume you. This is a tall but critical order in a world where our physical and virtual connections to others (and their associated power dynamics) are only growing more complicated. These lessons hold true not just for individuals but for entire organizations as well. 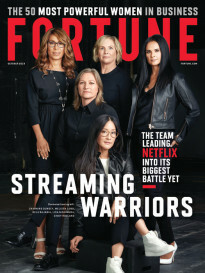 The latter half of 2011 was marked by several highly publicized power struggles between corporations and consumers, with the quick reversal of imposed fees by Bank of America and Verizon and Netflix’s (nflx) intended spin-off of its DVD-by-mail service. While you might assume that companies whose products impose high switching costs (e.g., the inconvenience of changing banks, or the early termination fees for breaking a cell phone contract) or whose services were wildly popular would hold the trump card in their relationships with customers. Yet these examples seem to demonstrate that the tide of power is turning in consumers’ favor, and that the trend may be accelerating. Amid the increased prominence of social media, consumers’ ability to learn from each other and to mobilize as a larger group has increased exponentially. Through this increased connectivity, consumers complement their relationships with companies by adding relationships with each other. 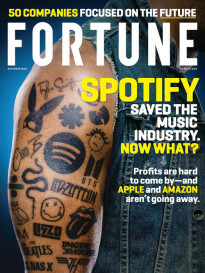 So, the company’s power of least interest has grown weaker, as it no longer manages a set of isolated customer relationships where it holds a power position, but instead must confront a web of connected players that are increasingly capable of asserting themselves as a group. Netflix’s business analysts no doubt predicted that there would be some small, but acceptable, level of customer attrition after its Qwikster spinoff announcement (a plan it abandoned in October), but it failed to gauge how the negative customer reaction would continue to compound itself via news coverage and online community discussion until customer departures totaled 800,000 by the end of the third quarter, delivering untold damage to the Netflix brand (the company has since gained 610,000 subscribers as of the end of the four quarter). And what would have been an easily ignorable smattering of customer complaints in the past was brought together by Molly Klatchpole’s petition on change.org into a 300,000-signature-strong force that Bank of America could not disregard. Navigating this new world certainly requires managers and companies to exhibit the same kind of honesty and willingness to listen as is expected in most personal relationships. But there is no single recipe for success in this new world. Facebook’s journey in introducing new attributes and services to its site embodies the perils and promise of this aggregated power of “least interest”, ranging from the successful roll out of Timeline despite some privacy concerns to Mark Zuckerberg’s public mea culpa over the initial version of News Feed. Just as healthy individual relationships require constant monitoring and care, the new paradigm for company and customer relationships values greater symmetry of power and dialogue between groups over issues that matter, and the willingness to reconsider things when results or reactions are not as expected. Like any love affair you want to last, it requires patient, hard work and the willingness to put power games aside to have real conversations. Jevan Soo is a management and human capital consultant, and a research associate at Harvard Business School. Thomas J. DeLong is a management and organizational behavior professor at Harvard Business School and author of Flying Without a Net: Turn Fear of Change into Fuel for Success.